Add the milk powder to your milk, and heat treat to 90° C for ten minutes, stirring constantly. Allow the milk to cool to 40° C. Add your starter culture and mix well to ensure the culture is evenly distributed. 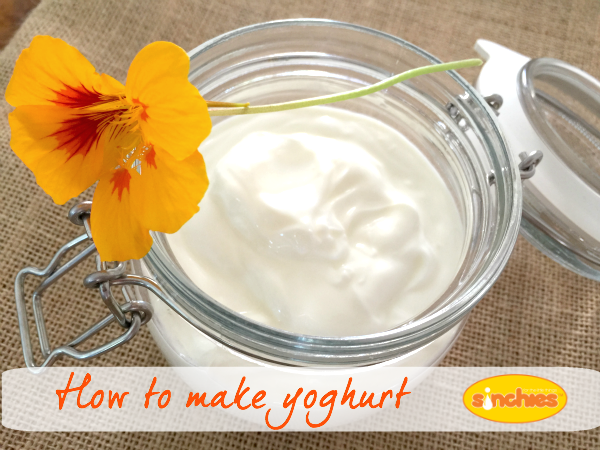 Pour your milk into the yoghurt maker, or jar you have selected. Maintain the milk mixture between 37° and 43° C for 8-12 hours, or even longer. Pour into our 150ml Top Spout Sinchies reusable pouches and enjoy yoghurt at a fraction of the price you would usually pay!